Posted on 8, June 2016 by EuropaWire PR Editors | This entry was posted in Apparel, Fashion & Beauty, Netherlands, Non Profit, Retail, Society and tagged cotton sustainability, international companies using most cotton, PAN UK, RESEARCH, Solidaridad, WWF. Bookmark the permalink. UTRECHT, 08-Jun-2016 — /EuropaWire/ — The majority of international companies using most cotton globally are failing to deliver on cotton sustainability according to new independent research published today by Pesticide Action Network (PAN) UK, Solidaridad and WWF. 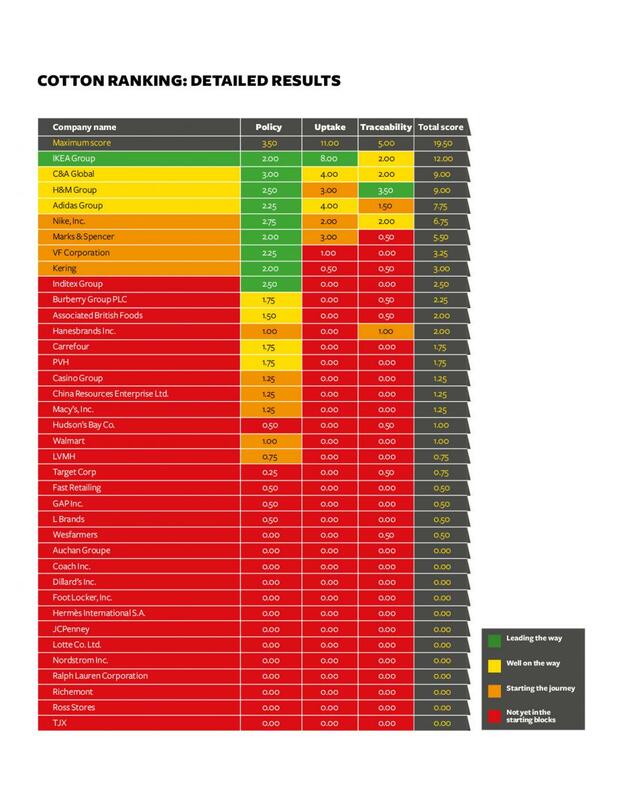 Just eight companies out of 37 made it out of the red zone in the ranking research conducted by Rank a Brand, one of Europe’s largest brand-comparison sites on sustainability and corporate social responsibility. Only home furnishing giant IKEA, who top the ranking, score in the green zone with 12 out of a maximum of 19.5 points. C&A (9), H&M (9) and Adidas (7.75) follow in the yellow zone, while Nike (6.75), M&S (5.5), VF Corporation (3.25), and Kering (3) are in the orange zone. Another 29 companies fall in the red zone and appear to do virtually nothing on cotton sustainability. While around 10-13 per cent of global cotton supply can be classed as more sustainable, less than a fifth of this amount is actually being used as more sustainable cotton in products with the rest being sold as conventional due to lack of demand from top brands and companies. Rank a Brand scored company performance across three areas: policy, sourcing and use, and traceability. Most points were available for sourcing and use with companies assessed according to volumes used from Better Cotton, Cotton made in Africa, Organic, and Fairtrade – the four standards judged to be sustainable for this research. 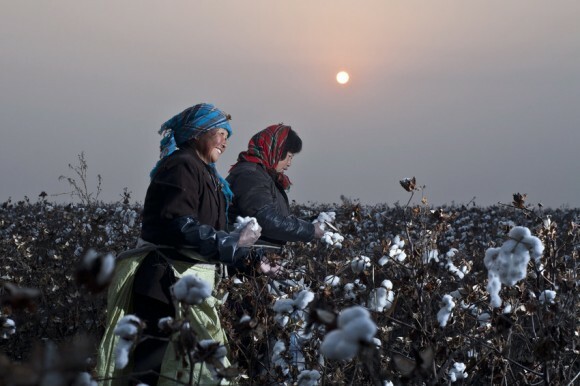 PAN UK, Solidaridad and WWF are calling on all companies using large volumes of cotton to set, report and deliver on time-bound targets for cotton sustainability – companies serious about sustainability should be sourcing 100% more sustainable cotton by 2020 at the latest. The full Cotton Ranking report and a cotton market briefing, ‘Mind the Gap: Towards a More Sustainable Cotton Market’ give an overview of the market for more sustainable cotton. 37 companies estimated globally to use the most cotton in their products were scored across sustainable cotton policy, sourcing and use, and traceability. As transparency and accountability are considered paramount by PAN UK, Solidaridad and WWF, only publicly available information was used in scoring company performance. In general, there is still a significant lack of information on sustainable cotton policies, sourcing, and supply chain transparency. The four standards deemed most credible in this research as assessed by the WWF Certification Assessment Tool are: Better Cotton, Cotton made in Africa, Organic, and Fairtrade. A number of sustainable cotton standards have been developed in the last 30 years, starting with Organic cotton in the 1980s, followed by Fairtrade in 2004, Cotton made in Africa (CmiA) in 2005 and the Better Cotton Initiative (BCI) in 2009. All provide guidance and support for farmers and seek to reassure consumers and retailers that the products they buy are being produced using sustainable farming methods. The supply of sustainable cotton has never been greater (estimated to be at 13 per cent of global supply in 2015) but uptake by companies, essential for mainstreaming sustainable cotton, remains too low at approximately 17 per cent of what is available. Reasons for low uptake given by companies include low consumer demand, complexity of their supply chains and additional costs. Low uptake risks demotivating farmers and hindering lasting change in the textile sector.